Typhus Reaches 'Epidemic Levels' In Southern California! - Amirite? - Post your opinion and see who agrees. Typhus Reaches 'Epidemic Levels' In Southern California! Health officials in Southern California are warning residents to be aware of a typhus outbreak that's reached 'epidemic' levels in some areas of the Southland. In a release, the Pasadena Public Health Department reported "epidemic levels of typhus fever this year," with 20 cases diagnosed so far, most of which occurred in the last two months. USC Associate Professor of Medicine Neha Nanda says the disease is spread by infected fleas. No mention has been made about the possibility that poor management of the homeless population or influx of "undocumented citizens" has anything at all to do with this medical anomaly. However, there is talk that climate change is contributing to the problem. And we all know who to blame for that! No Carla - it can't be! There was no mention of disease ridden undocumented citizens. But where do you suppose the fleas get the typhus bacillus from, Carla...? The usual vector in human typhus epidemics is the human body louse, which transmits the disease from an infected person to an uninfected person. Fleas don't seem to be nearly as important as lice in its spread. "Feeding on a human who carries the bacterium infects the louse. R. prowazekii grows in the louse's gut and is excreted in its feces. The disease is then transmitted to an uninfected human who scratches the louse bite (which itches) and rubs the feces into the wound. The incubation period is one to two weeks." "During World War I typhus caused three million deaths in Russia and more in Poland and Romania. Delousing stations were established for troops on the Western front but the disease ravaged the armies of the Eastern front, with over 150,000 dying in Serbia alone. Fatalities were generally between 10 and 40 percent of those infected, and the disease was a major cause of death for those nursing the sick. Between 1918 and 1922 typhus caused at least 3 million deaths out of 20–30 million cases. In Russia after World War I, during the Russian Civil War between the White and Red, typhus killed three million, largely civilians. " @Budwick No Carla - it can't be! There was no mention of disease ridden undocumented citizens. Oh, you must mean the illegals who get motor-voter registration and vote. Looks like you're right. I read a few articles and none said anything about climate change but who really knows? Luckily, it rarely causes death but it is nasty as I have seen soldiers who caught it. That sure is unfortunate, and could happen anywhere. 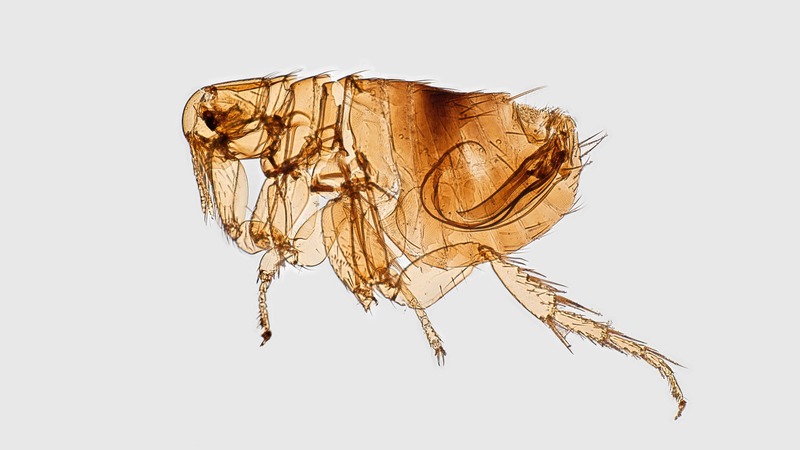 Fleas are especially prolific in places where it is warmish most of the year, of course. It's great that the disease is so treatable with an antibiotic. I don't think there is a vaccine for typhus. According to the Internet [so it HAS to be true] As of 2017 they are not commercially available. No, no vaccines for typhus. Just antibiotics. @Rooster No, no vaccines for typhus. Just antibiotics. The first half of the 20th century was a good time not to be around... one of the worst half-centuries in human history. But the Greatest Generation was up to it. Yeah, that's it. Those undocumented citizens are bringing climate change to the whole planet! And they breed like rabbits! Undocumented citizens are a cesspool of typhus! We need to pass a law! That is the leftist term for illegal alien. And, I am clearly going to have to work on my sarcasm skills to get my point across better. I did not mean to imply that illegal aliens bring climate change. I did mean to imply that they may have brought typhus however. I think you meant "undocumented immigrant". Nobody ever called them citizens. @that_guy I think you meant "undocumented immigrant". Nobody ever called them citizens. No, I was trying to be nice and use leftist terminology which is often "undocumented citizens". If I were to use my own terminology, I would simply write illegal immigrant. But, that is likely to cause a stir with the PC Police, and then another demonstration outside my home, damage to the lawn from all the police cars and TV vans driving over it, cleaning up the mess left by protesters, getting the dogs re-re vaccinated [God only knows what diseases those protesters are carrying]. But it sure is fun bantering minutia with you. OMG! A compliment! I won't know how to act! Climate change is the most likely culprit. In my state we haven't had a really long lasting cold winter in years, and as a result we are overwhelmed each summer with mosquitoes, fleas, and other parasites.